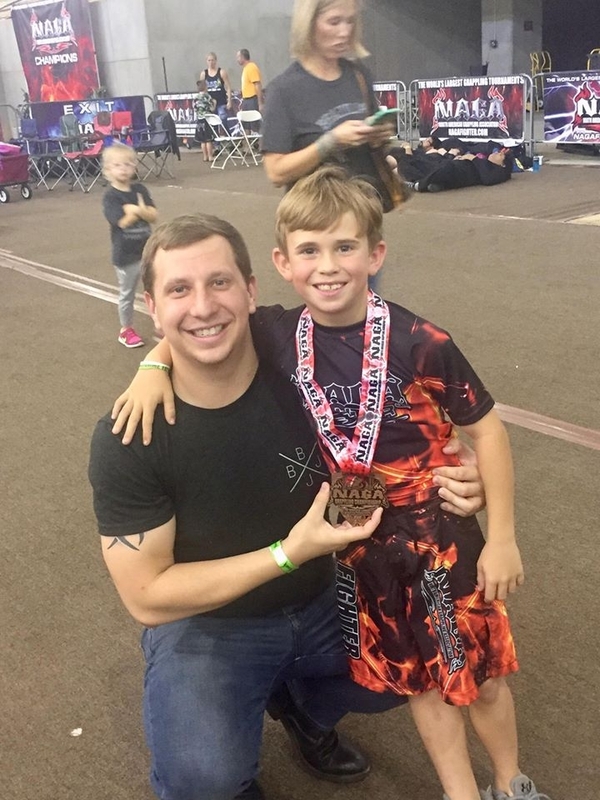 Andrew Smith is the co-owner of Revolution BJJ in Richmond, VA. Nowadays, he’s most well known on the east coast for his work on US Grappling, but he has also earned the distinction of being one of the few BJJ black belts who can also lay claim to the same belt in Judo. In addition to teaching at his school, he still travels and teaches seminars, and he has a deep understanding of leg locks and kimuras. In this interview, I asked him a few questions about how he teaches and how he learned. It’s the second edition of a series on this topic, and in time, the goal is to find commonalities that exist between a vast number of black belts. Alright. The first question is: In an ideal world, how would you structure a program to give brand new students a firm foundation within a period of three months? Andrew Smith: Tough question. Right now, my gym (Revolution BJJ) actually faces exactly this challenge. We have an introductory program for both gi and no-gi (and we have one for Muay Thai as well, but I’ll just talk briefly about the jiu jitsu stuff here). The no-gi intro program is 8 weeks, and the gi intro is 6 weeks. Each program focuses on basic core movements as warm up (including breakfalls), and something to do from each position, including the feet. Self defense and sport applications are outlined. 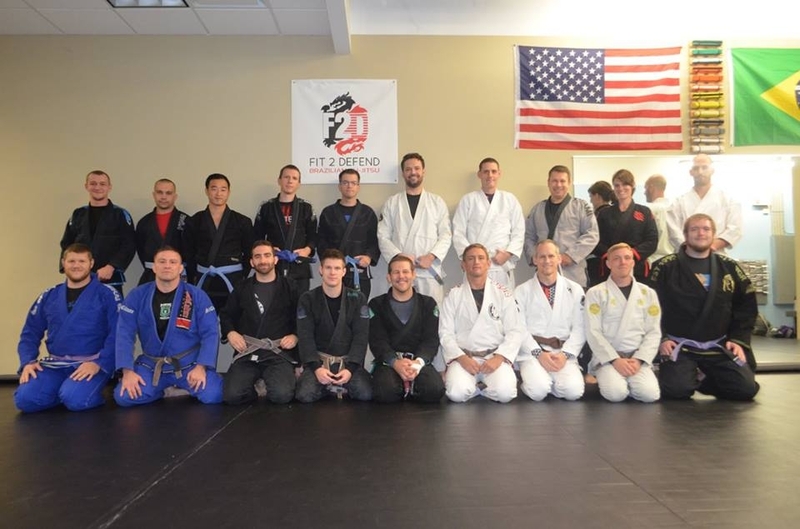 The no-gi intro program actually has four distinct sessions, and the gi intro has two. Current members are encouraged to continue, so they might end up doing level 1 classes (that’s what we call them for members) for several months beyond their initial “graduation.” Each program has a defined start and end time. What are some aha moments you’ve had both as a student and as a teacher of our art? Andrew Smith: As a student, I remember distinctly having a few. One was that if a guy stacked me from double unders, it didn’t automatically mean my guard was passed. Another was that, as long as I could keep the guy in between the “V” of my legs, he wasn’t able to pass my guard. These were simple revelations that happened 10 and 15 years ago, respectively, but they were simple eye openers. As an instructor, I enjoyed breaking down the positions of BJJ into five basic positions (guard, side control, knee on stomach, mount, and back). This, coupled with a positional hierarchy, helped teaching beginners a great deal. There have been numerous moments like this, but these are ones that stick out as particularly productive. Those revelations are interesting. I especially like the simplification of positions. Given that structure, what elements of the guard do you consider essential for beginners? Andrew Smith: We certainly emphasize distance control right from the start. If you’re on the bottom, it’s about pulling the person in close (closed guard), or getting a shield in there (open guard), and if you’re on top, the opposite is obviously true. It’s really important for beginners to see that they can finish someone off their backs, even if they’re not going to use too much of that stuff right away. It lets them know the power of the position, and of jiu jitsu in general. Angles are also super important, and you can get some of that in there early on. So if you had to choose only three principles, what do you think a white belt has learn as soon as possibly can? Andrew Smith: A white belt who’s already aware of what BJJ can do, or someone who doesn’t have an idea of what BJJ is? That’s an important distinction. I think the grand lesson of BJJ is that if you know a little something on the ground, you can likely force your way there in a one-on-one, unarmed, self defense scenario. Tackling a boxer, for instance, dramatically levels the playing field. #3 is probably the most important in the grand scheme, and #1 and #2 are really just ways to get to #3 to a degree, although I often think of BJJ as a “bully” art. If you think about it, it’s all about imposing your will on people, by dominating one limb with your entire body. Your body bullies their arm in a very real sort of way. Same for both. It was a question about priority, and what you consider essential for white belts to learn early. Andrew Smith: Yeah, redirection is huge, and the concept of using leverage, not strength or speed. I want to say, “SLOW THE HELL DOWN!” to all of them (and sometimes do). Yeah, I feel the same way sometimes. On that subject, one last question. What would you do differently if you were a white belt all over again? Andrew Smith: Part of me wants to say, “not a damn thing”, because the mistakes I’ve made have allowed me to learn valuable lessons that I can now pass along to my students. I think a more appropriate answer to this is that I’d focus on true fundamentals. When I was a white belt, I learned all kinds of stuff I shouldn’t have been learning – leglocks, advanced types of open guard, and so on- but not so much of how to move my hips from side to side, or how to really finish an armbar, or anything else I might consider truly fundamental nowadays. Keep in mind that this was around 17 years ago, and it was like the wild west at the time, so there’s a lot of progress that has been made all over the place. Create angles as a basis of offense. Control the distance and keep your opponent in front of you to increase your defense. Redirect the energy of your opponent to minimize their ability to attack you. Understand and apply the principles of leverage to increase your effectiveness. Focus on the fundamentals (hip mobility, submission concepts and execution, etc) early. 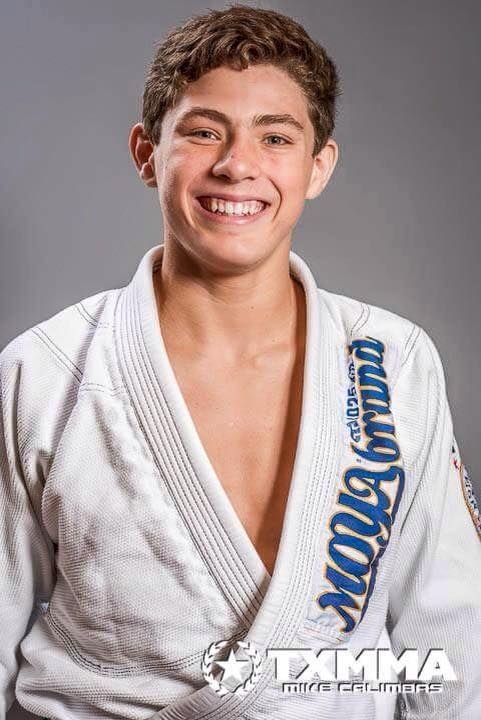 This is not the first time that Andrew Smith has thought about what he would do differently if he was a white belt. I was able to find a short interview he did on that topic. Read it and see if it helps you improve your own training methods.